The history of the present day brand Michèle starts in 1921, the year the company was founded by Michael Irskens Sr. in Monchengladbach. In the first instance a line of men’s trousers was produced, later, boys and girls trousers were added to the range. This changed after the death of the founder in 1958 when his sons Jakob and Engelbert Irskens took over the running of the company. 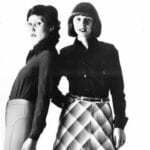 The specialisation on ladies trousers began and developed so rapidly, that production of men’s and children’s trousers ceased in 1963, from then only ladies trousers and later also ladies skirts were produced. In the years of the German ‘ economic miracle ‘ the company frequently had to move into new buildings, because they had outgrown existing capacities. 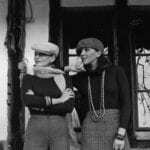 After the death of Engelbert Irskens in 1970, Catherina Hepfer took over the running of the company and until today remains significantly responsible for the success of the company, which introduced the brand ‘ Michèle ‘ in the 1970’s. 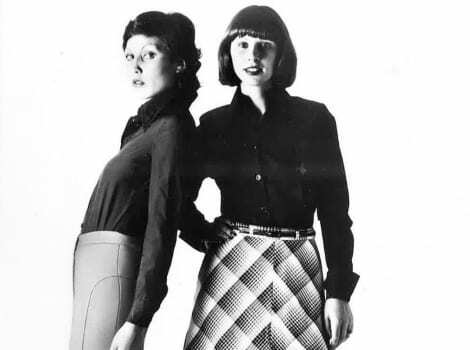 A close bond to home, continuity, loyalty, team play and the quest for the perfect product continue to shape the Michèle’s ethos up to today – distributing ‘skirts and trouser for the stylish, demanding women’ worldwide. After various further moves it was decided to build new modern company headquarters at the present day location in Monchengladbach, which were completed in 1992. 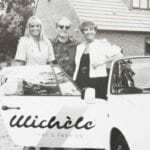 In 1995 her son Michael Irskens joined the company and is now leading the family run business in fourth generation. Except for war time, the company always had their headquarters on the left banks of the lower Rhine.